A nature photographer dragged himself through thick mud to rescue an eagle in a coastal marsh in Poland. 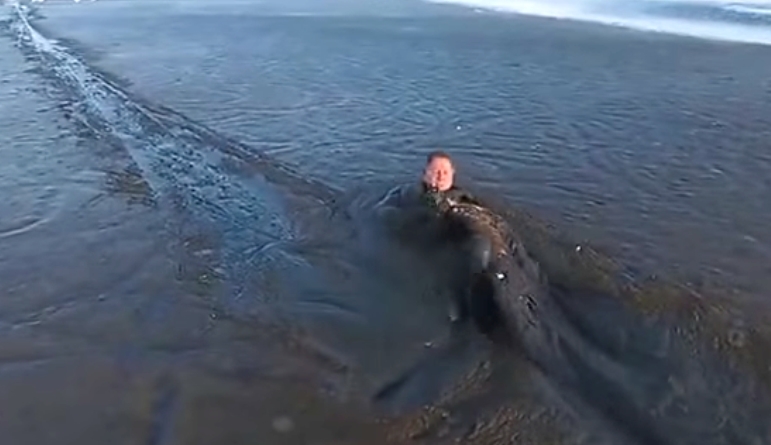 The whole thing was captured in a video that includes some dramatic drone shots. Photographer Krzysztof Chomicz made the daring rescue near the town of Swinoujscie, with the help of local firefighters, European media have reported. Chomicz brought the distressed bird, a white-tailed eagle, back to dry land, enduring some pecking at his arms and legs in the process. To avoid getting trapped in the mud himself, Chomicz held on to a rope that was attached to the land. 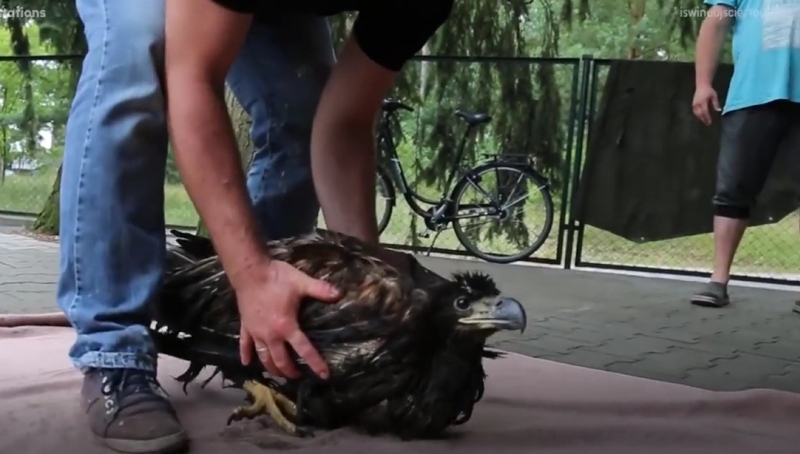 According to local reports, the eagle was treated by wildlife rehabilitators and then transferred to a refuge in Szczecin. The team named the eagle Icarus, after the Greek hero who flew too close to the sun on wings of wax and feathers. The team estimated the bird was about six months old and was likely just learning to fly when it fell into the muck. The white-tailed, or sea, eagle (Haliaeetus albicilla) is northern Europe's largest bird of prey. It was driven nearly to extinction by pollution and habitat loss but began making a comeback in the 1980s, particularly after DDT and PCBs were banned (which had led to thinning of its shells and poisoning). Today, there are thought to be nearly 25,000 adult white-tailed eagles in Europe. But that hasn't been good news for some of their prey, including other vulnerable birds, such as eiders. With eight-foot (2.4-meter) wingspans, the predatory eagles require around a pound (0.5 kilogram) of food a day. The white-tailed eagle, the largest bird of prey in northern Europe, is reportedly recovering well. 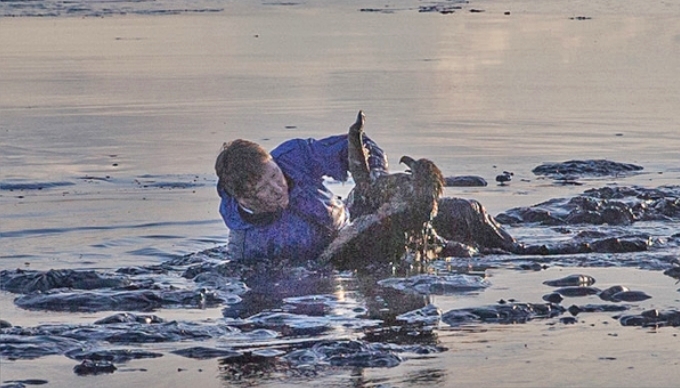 Responses to "Wildlife Photographer Crawls Through Mud To Rescue Stranded Eagle"